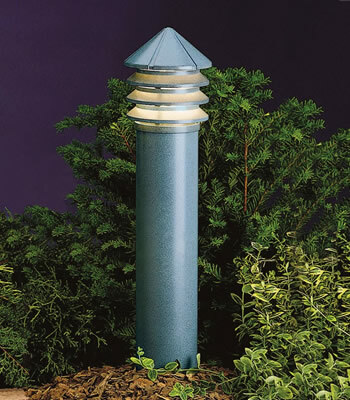 Width 4.5" x Height 22"
Notes: A wiring kit and ground spike is supplied. 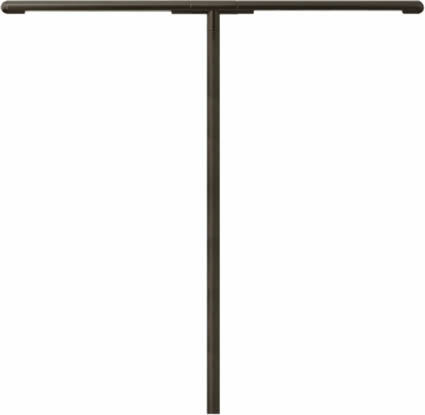 Height 10" x Width 10"
Must be mounted on post or pier, not incuded. 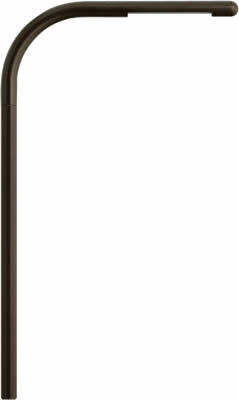 Width 6" x Height 21.5"
Notes: 180 Degree swiveling head allowsfor maximum flexibility. Can be used for wall washing applications. A wiring kit and ground spike is supplied. 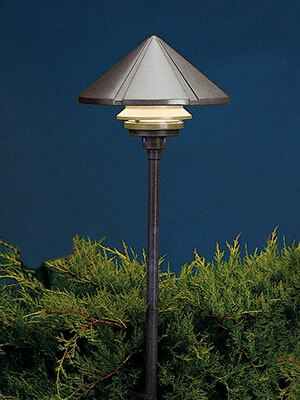 Width 8" x Height 22"
Versatile fixture with wider light distribution for paths and low areas of groundcover. 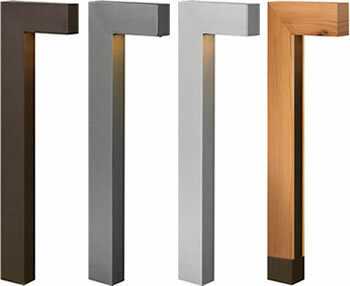 Louver inverts to create more indirect light spread. 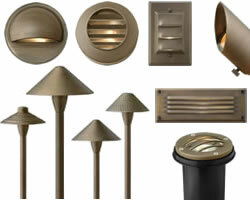 For use with fixtures 15005, 15011, 15205, 15211. 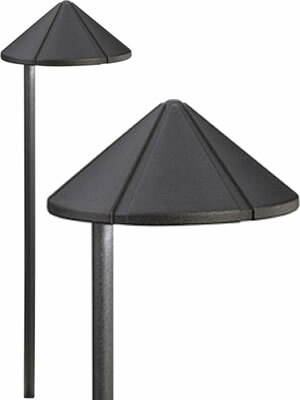 Bollard kit is supplied with cast aluminum internal mounting plate including lag bolts for deck or surface mounting. 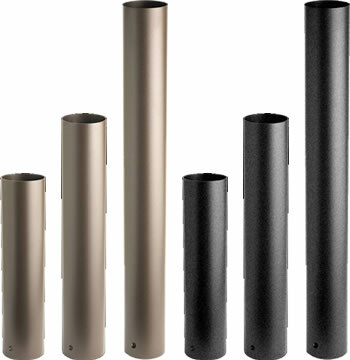 Extruded aluminum bollard finished with baked thermoset powder coat. 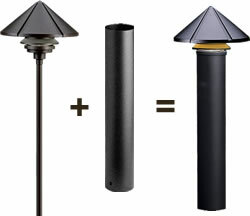 Order separate bollard template kit for installation into concrete or bollard mounting stake for installation in soil. 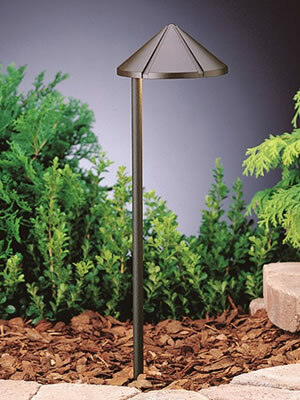 Versatile fixture with wider light distribution for paths and low areas of groundcover. 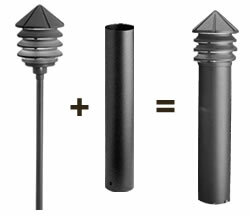 Stem or bollard, ordered separately. Louvers direct tiers of light downwards for well-shielded, dramatic lighting. 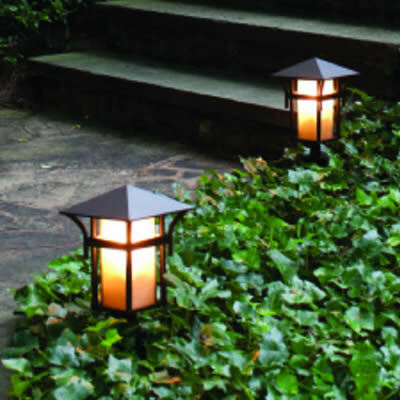 Blends nicely with shrubs or flowers along a pathway. 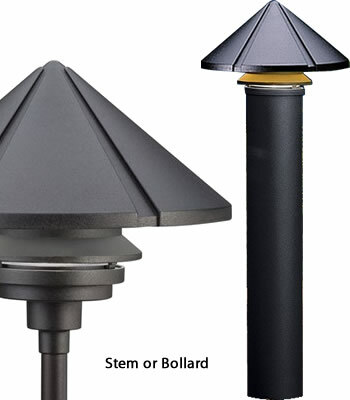 Available in stem or deck mount or as a bollard. 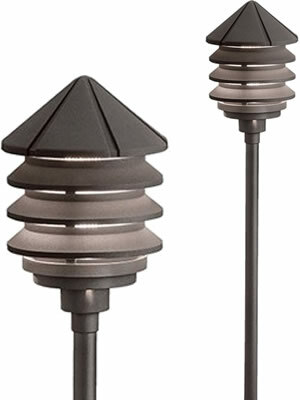 Width: 3" x Height: 30"
Photometrics for bollards are based off of engine photometrics. 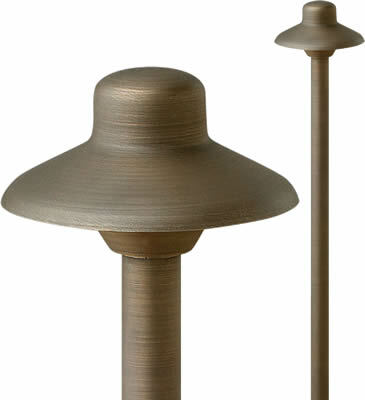 A wiring kit, 2" diameter power post, ground spike and surface mount are supplied. 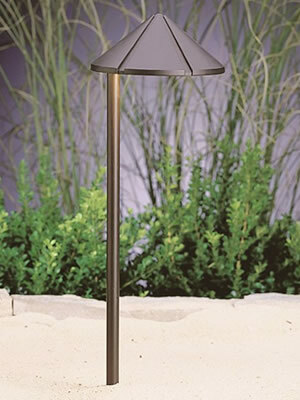 Width 6.5" x Height 22"
LED technology is combined with a side mount design for more directional lighting, without glare. 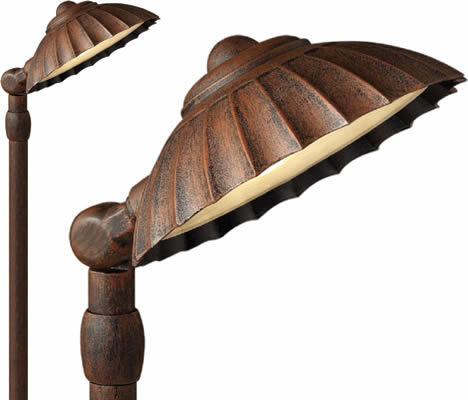 Coordinates with matching LED deck light 15765. Integrated LEDs and Driver, 2950K (-150/+175), High CRI. 53" of usable #18-2, SPT-1-W leads. Cable connector supplied. 35" of usable #18-2, SPT- 1-W leads. Note: Not for use with electronic transformers. 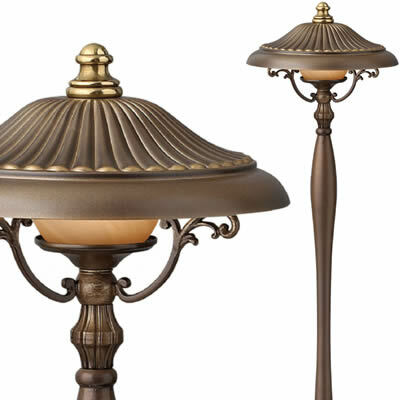 LED technology is combined with premium solid brass material, engineered to withstand harsh coastal conditions. Choose warm white or cool LED. 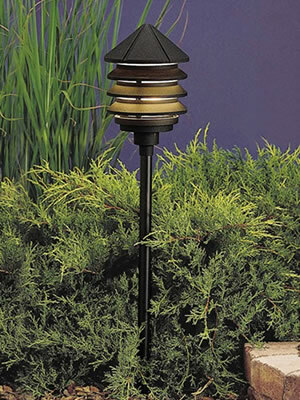 Coordinates with matching LED deck light 15765. 35" of usable #18-2, SPT-1-W leads. Cable connector supplied. 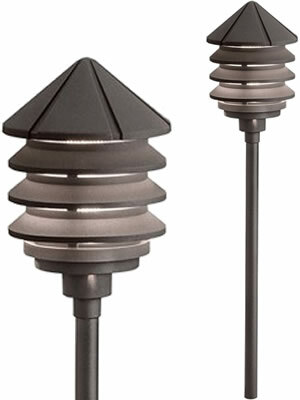 Width 19.5" x Height 2.5"
Width 32" x Height 2.5"
Linear head rotates 360 Degrees for precise adjustments. Compatible with any 12VAC Transformer. 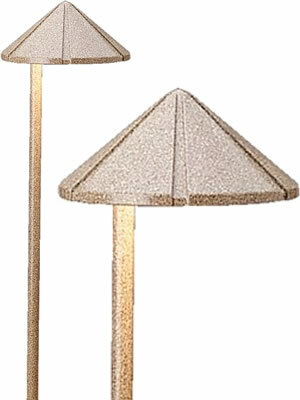 Width 14.5" x Height 25"
Width 6.8" x Height 15.5"
Hinkley Lighting's Hardy Island Landscape Lighting includes Cast Brass T-3 Bi-Pin and LED pathlights in various sizes and styles. 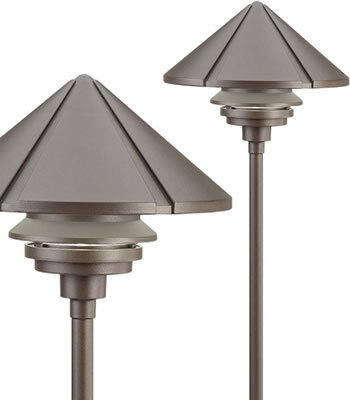 Coordinating Cast Brass well lights have flat, grill, eyebrow or directional tops. 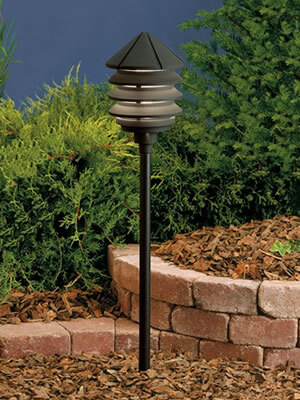 Deck lights are available as eyebrow or louvered round or louvered rectangular steplights and brick lights. 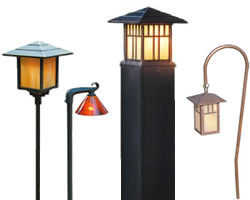 Spot lights, flood lights and wall wash lights will finish your look and complete your landscape lighting design. 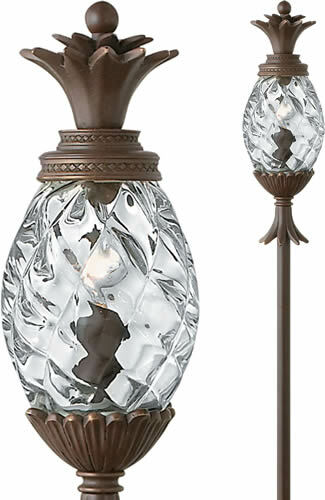 Width 6.8" x Height 23.3"
Width 4.3" x Height 15.8"
Width 7" x Height 24"
A traditional symbol of hospitality, the pineapple motif is beautifully realized in the Hinkley Plantation Collections. 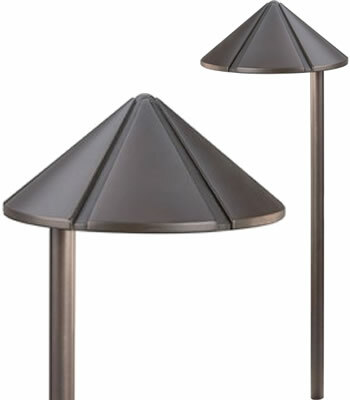 Hinkley Lighting's Plantation Outdoor Lighting Collection includes path lights, wall lanterns, pendants, post and ceiling lights in a choice of Copper Bronze with Clear Optic Glass or Pearl Bronze with Inside Etched Amber Optic Glass. 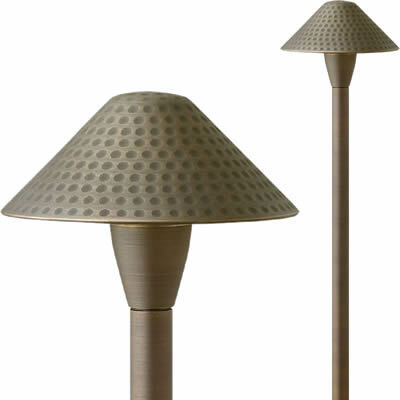 The coordinating Plantation Indoor Collection is available in Burnished Brass, Copper Bronze, Polished Antique Nickel or Pearl Bronze. 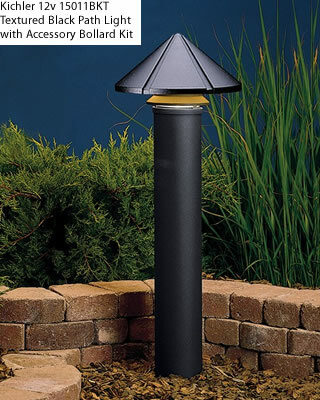 Width 3.8" x Height 22"
Width 4.6" x Height 22.5"
WAC Lighting Path Lighting - Ground-breaking patented landscape lighting solutions to the irrigation and green industry. 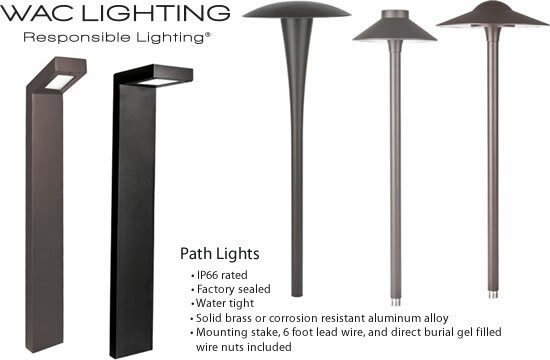 These energy efficient LED path lights are appropriate for residential or commercial use. 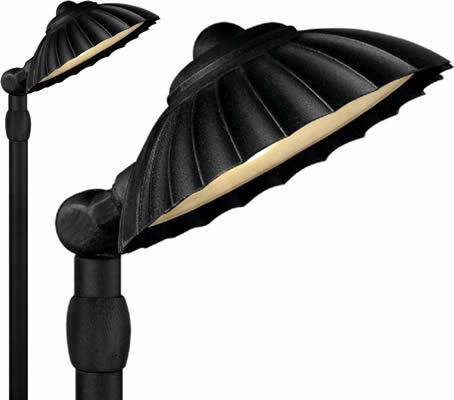 Safe low voltage LED fixtures provide plenty of lumens with very low energy use. LEDs are rated for 60,000 hours. 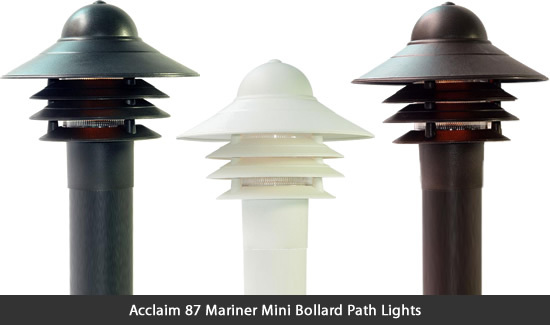 These path lights are factory sealed and water tight. 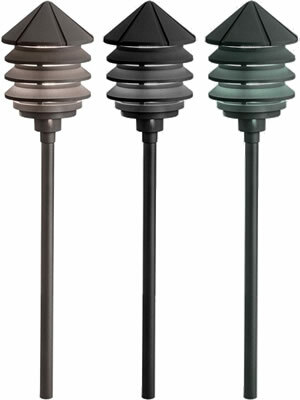 They are IP66 rated and will stand up to rain and sprinklers, even the most powerful water jets. 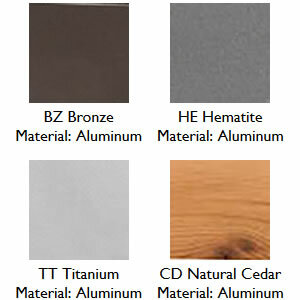 Choose from solid brass or corrosion resistant aluminum alloy. 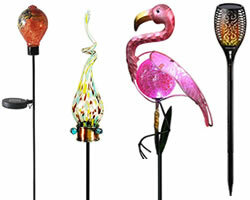 They ship complete with mounting stake, 6 foot lead wire, and direct burial gel filled wire nuts included. 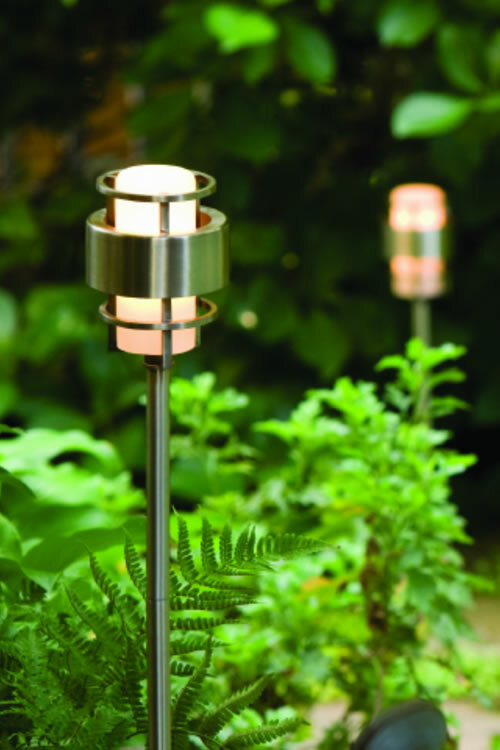 Choose from various sleek contemporary designs that will blend seamlessly with your landscaping while providing soft, even illumination to your pathways.